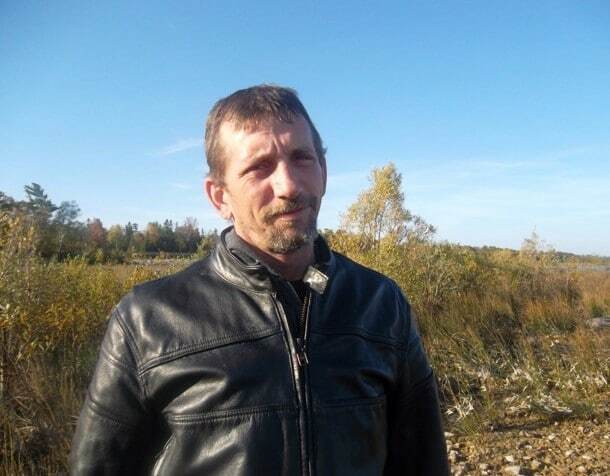 Michael Ralph Shelton-Shea, age 47, of Three Rivers, passed away on Friday, March 8th, 2019 surrounded by family at the Grace Health Care Facility. He was born on December 22, 1971 in St. Louis, Missouri, the son of Gary Shelton and Nickola (Gaulden) Shea. Mike graduated from Three Rivers High School and was employed at Bravo Trailers in Bristol, IN. for several years. Mike enjoyed spending time with his grandkids, motorcycles, traveling, gardening, and doing wood pallet projects. Mike was preceded in death by his mother, Nickola “Nikki” Shea. He leaves to cherish his loving memory, one son, Tyler (Madison) Shelton; two daughters, Brittany (Kris) Shelton and Samantha Reppas; all of Three Rivers; two sisters, Erin (Clay) Neff, and Tamara (Brandon) Hammon; five grandchildren, Landon, Kayleigh, Kamden, Jude, and Maverick. Two half-brothers, Kenny and Dan Shelton; Step- mother, Linda Shelton. Several nieces and nephews and extended family. Memorial donations may be made to the family of Mike Shelton c/o Tyler Shelton. Envelopes available at the funeral home. My brother is my hero and will forever be he was so kind hearted to those who deserve it and would drop everything to help he is always with me. I love you my favorite brother… He would respond I’m your only brother and I couldn’t have been prouder to call him my brother my hero. Your with mama now I know all is well my heart is just more empty until I see you both again. My condolences to Joyce ,her grandchildren and the rest of the family. May God give you strength and peace in this time of sorrow. So sorry for my grandchildren, Dena and the rest of the family he will be missed and I know he is a good place now. Madison and Tyler I have you and your family in my prayers!